Martin has been collecting for 30 years and been an online presence since the late 90s. 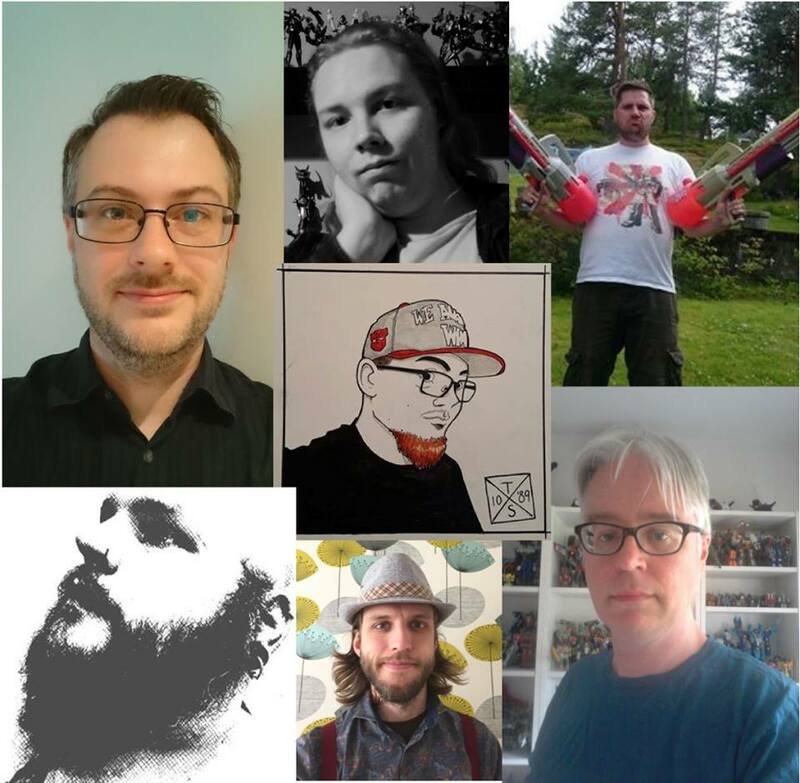 Having written numerous articles throughout the years on collecting Transformers, he has a strong passion for international releases – especially in the Nordic regions – he has also participated in organizing most of the pan-Scandinavian fan conventions since the late 00s. Being a relative youngster, Dennis became a fan during the neon lit 90’s. Usually an active member of the Scandinavian fandom, he’s recently taken a back seat to focus on his education. Thanks to his knack for photography, he can aid in any way as long as it’s from the other side of a lens. Eriks fascination with Transformers began when visiting an amusement park in Sweden and stumbling upon Action Master Bumblebee of all figures. Like a lot of people he lost interest in the franchise in his teens but got back in the game when the masterpiece line started. Thomas works as an art teacher and is an up-and-coming freelance comic book artist. His interest in Transformers began with the original G1 comics from Marvel (of which he owns every single issue in Swedish). At a very young age his favorite things to draw were Transformers and that interest still remains to this day. Among his greatest artistic influences you find the likes of Geoff Senior, Andrew Wildman, Nick Roche and Alex Milne. Grew up with Transformers in the 80s and became active in the community in 2002. Co-ran several conventions in the Nordic region up until 2011, and was part of the Auto Assembly committee for many years. He has served as an administrator on the NTFA forums for the better part of a decade. Not as active anymore, but still just as passionate! Johan has been a fan since the middle of the 80s but it is only recently that he has taken a more active role in the fandom. During his working career in education he has picked up a lot of tricks of the trade on how to run a convention. Lars has been a fan since the mid-80s; has pretty much retired from Transformers now, but stays on to socialize with the fandom and to help out with website stuff. He has run three Transformers conventions in the past and is one of the architects behind the NTFA.